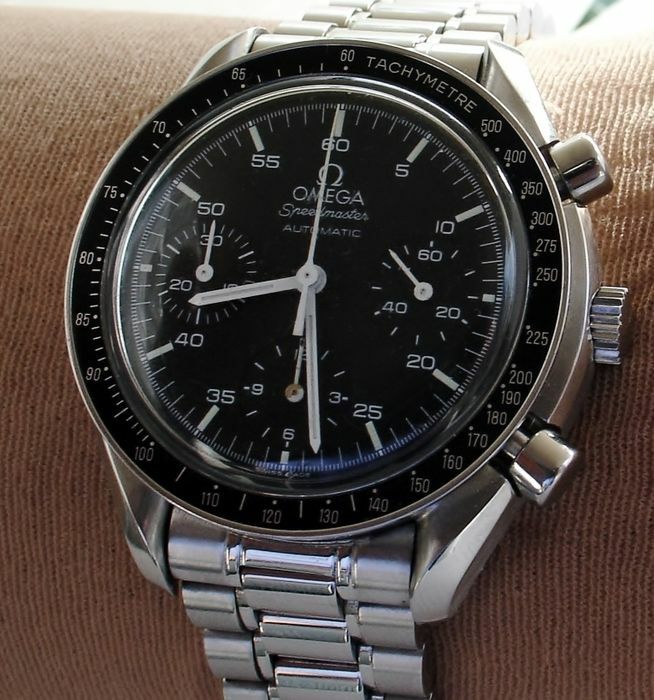 The well-known Speedmaster by Omega.... solid steel... scratch free and guaranteed 100% original. 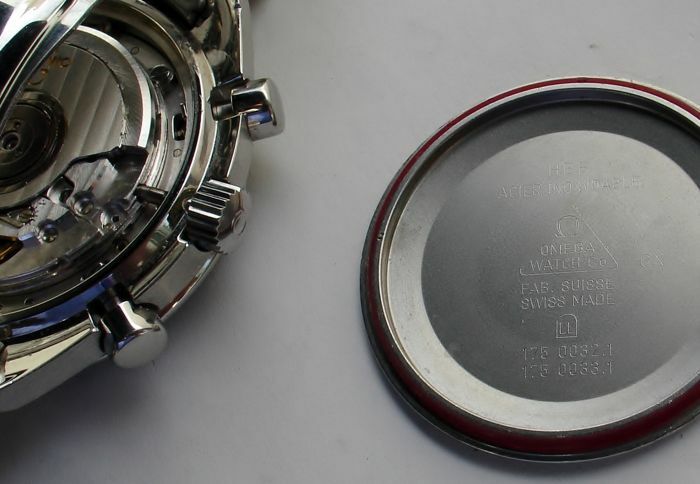 The large steel case has been used very little and therefore shows hardly any signs of wear. 39.3 mm. 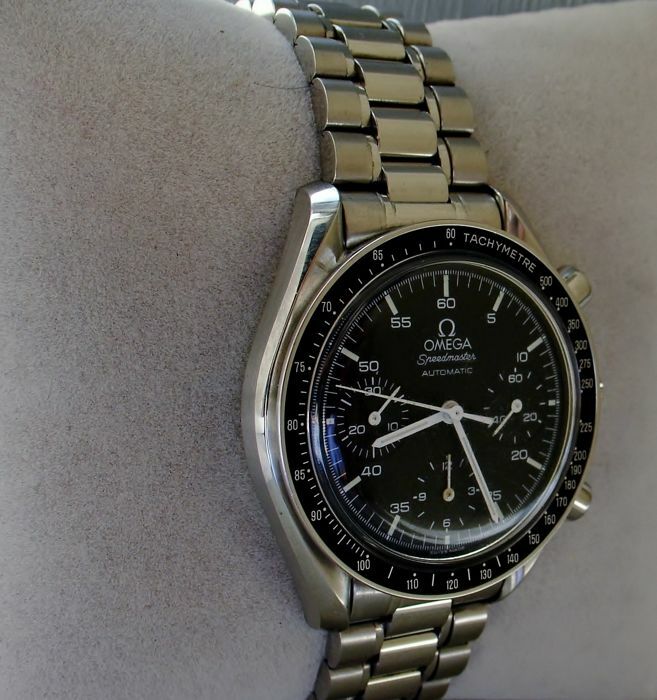 Crystal is like new and has the Omega logo; original steel Omega crown. 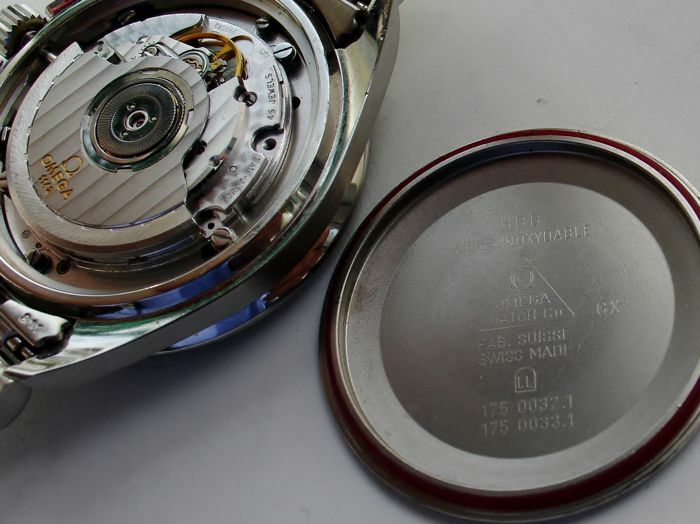 The chrono functions (seconds - minutes - hours) work without problems and set back exactly to 0. 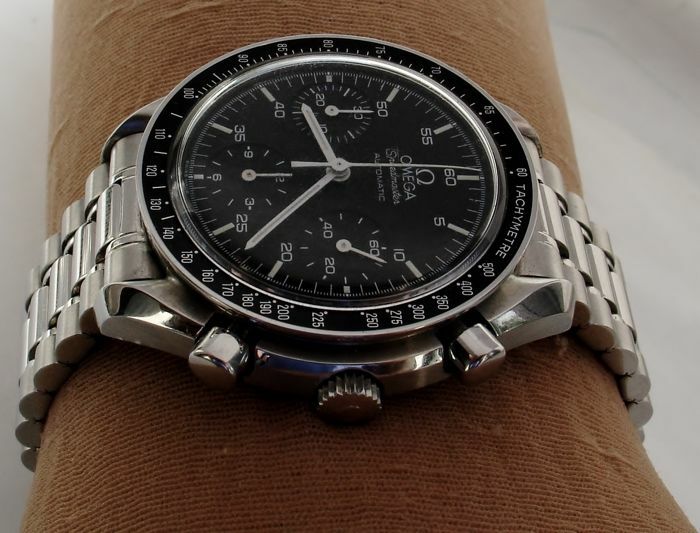 Dial is in perfect condition; steel numbered Speedmaster lid. The production no. 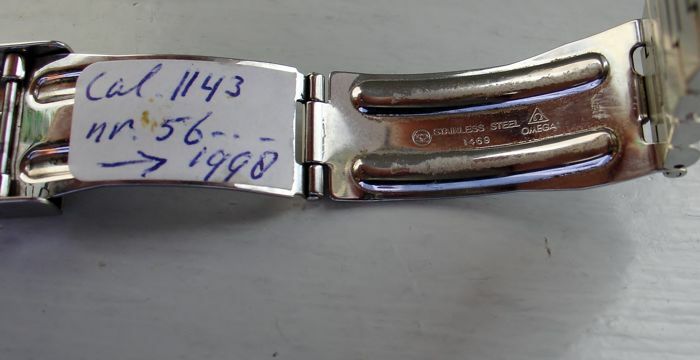 is 56..... which dates this watch back to 1998. 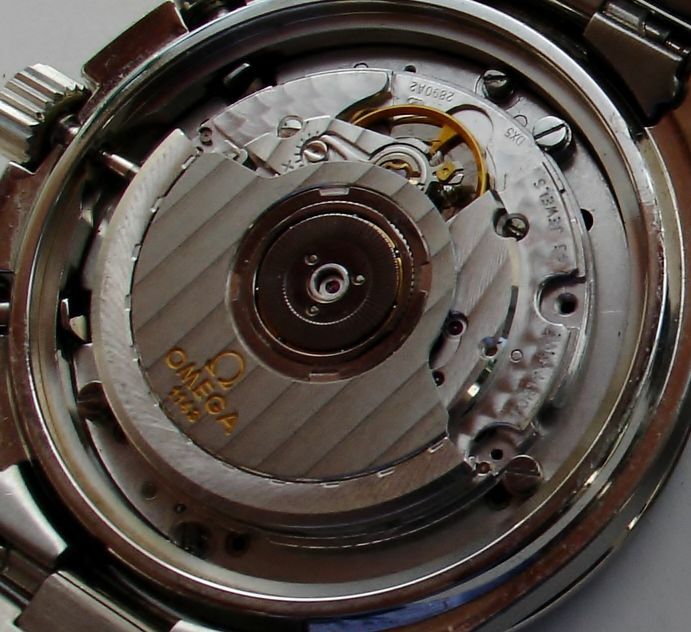 The Omega movement has calibre 1143 and has 45 jewels. 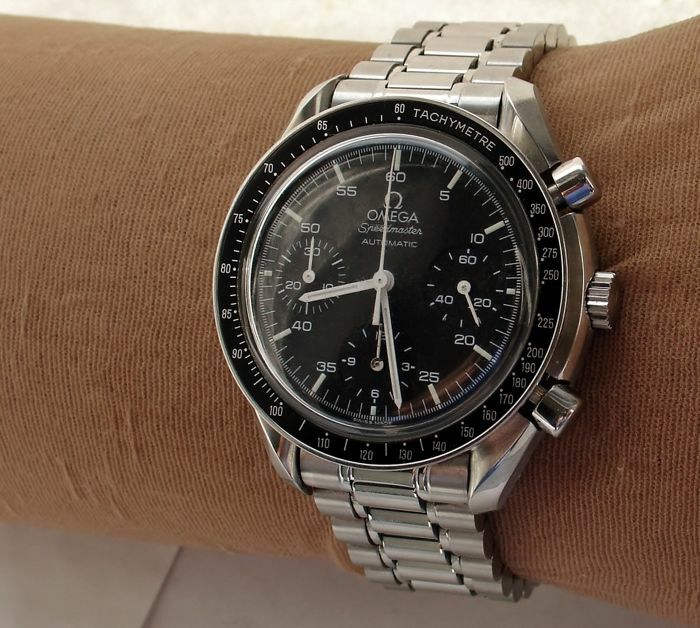 The automatic movement is precise and was serviced by my Omega specialist last year.... The deviation on the digital test app. is approx. 3 sec. per 24 hours. 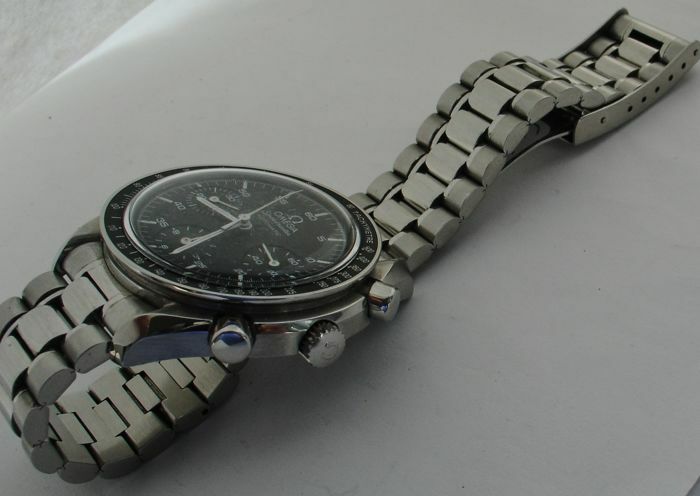 Steel Omega link strap with folding clasp (marked Omega Speedmaster), which is suitable for wrists of up to approx. 18.5 cm in circumference. 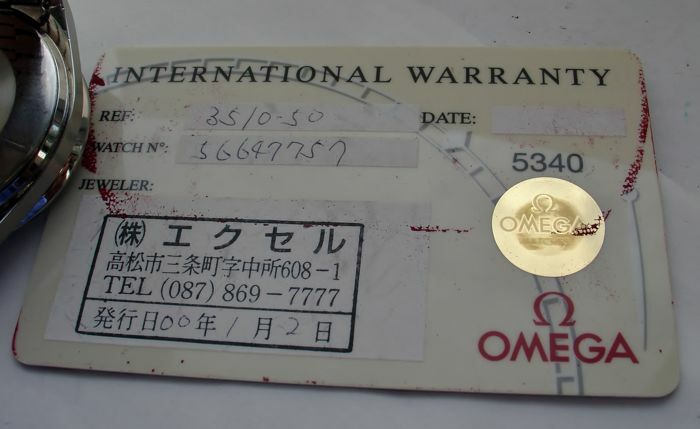 Extra links can be purchased on: ofrei.com....... Good jewellers have neutral extension plates. 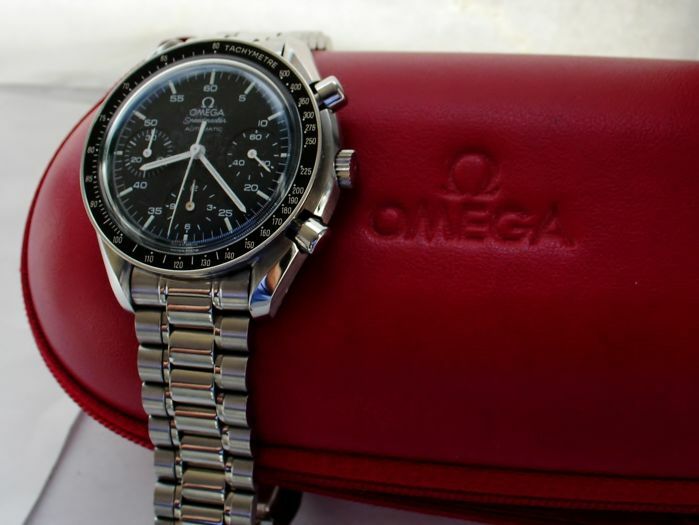 This Speedmaster comes in the original Omega travel case. 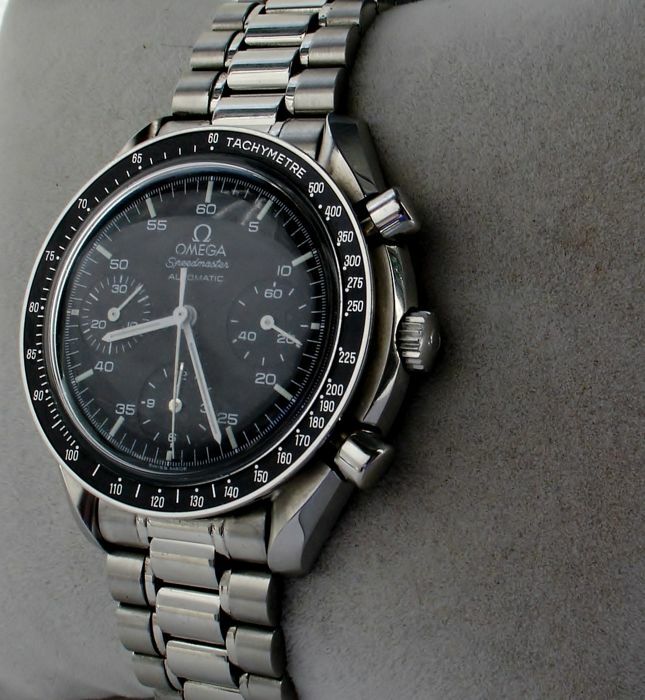 In short.... Now reliably for sale... the most famous and best selling Omega... 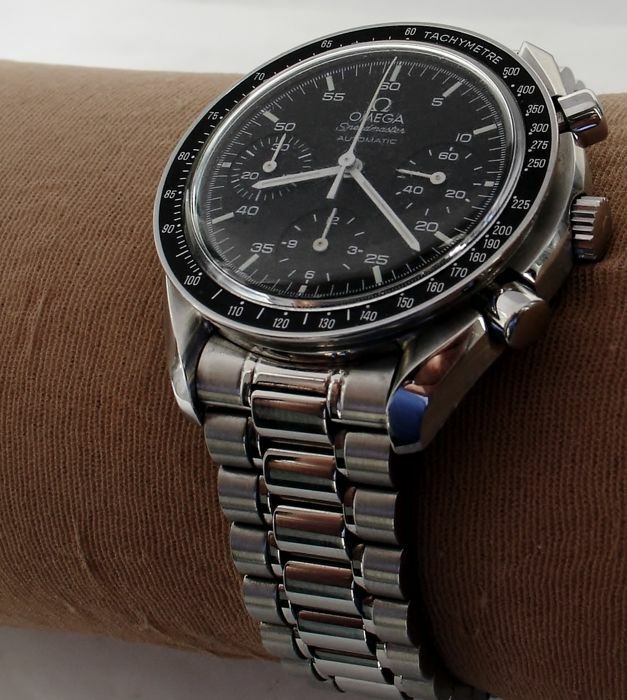 The SPEEDMASTER. 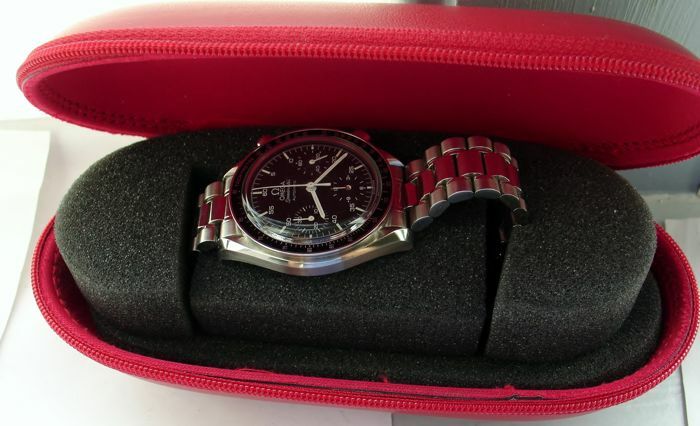 Horloge heb ik binnen enkel dagen ontvangen. Goed verpakt, en voldoet helemaal aan de beschrijving. 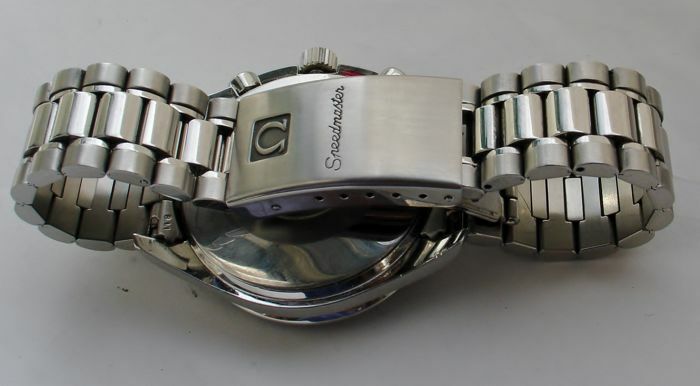 Heel mooi, perfect horloge. Ben er heel blij mee. Dear buyer..,. Feedback is not for judging the shipping company......or the customs of your oen country...! 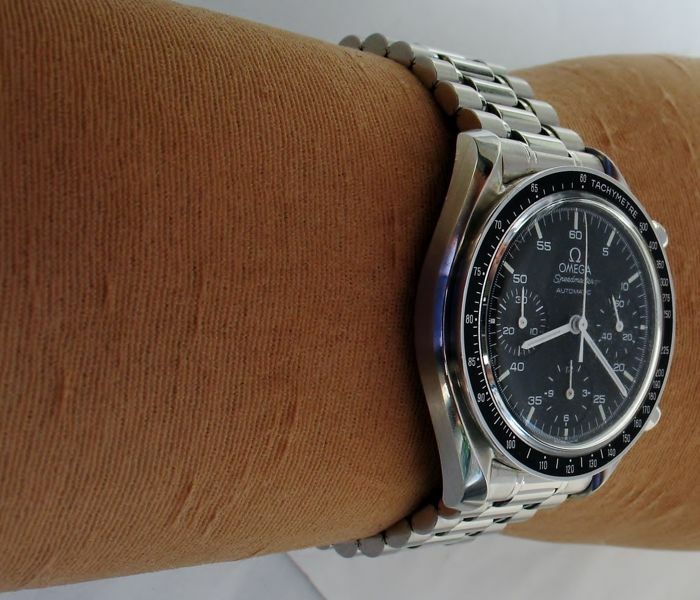 It is welknown...... Swiss custom is severe and often opens parcels. When I look on the DHL site..., I see the parcel was hold on at the Swiss border. The shipment arrived earlier than expected and corresponded completely to the description. Great vendor, quick response to questions. 100% reliable. Hartelijk bedankt voor de goede service en het meedenken betreffende de verzending. Ik heb het pakket in goede orde ontvangen, uitgepakt en het kavel is precies volgens omschrijving. 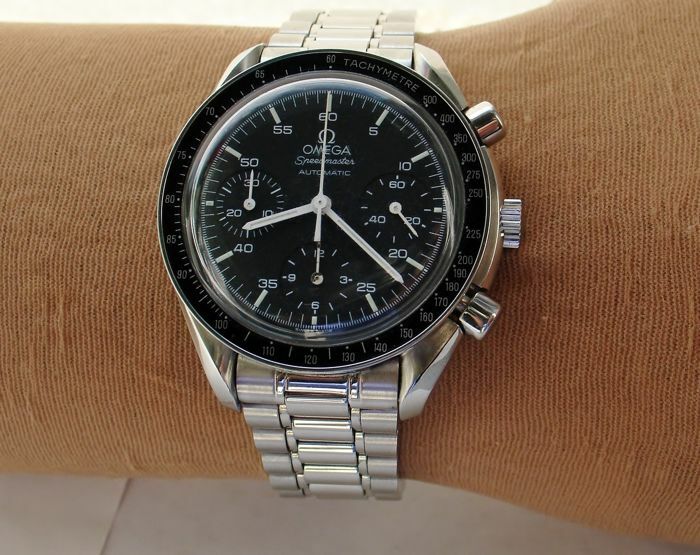 Orologio in ottime condizioni, come da annuncio. Pienamente soddisfatto ! 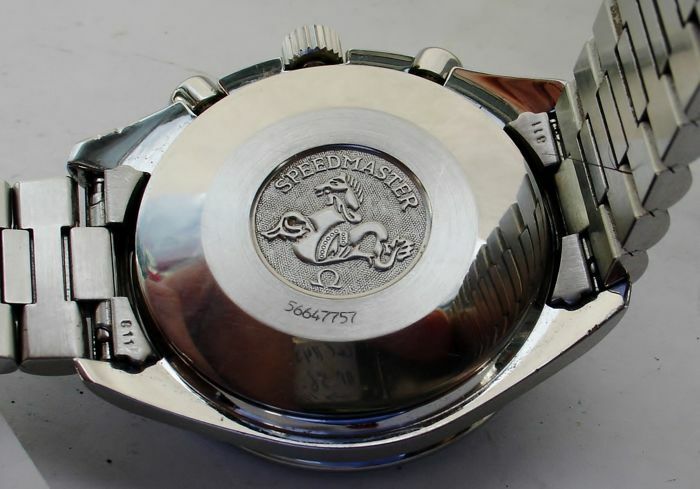 Very good seller, send and recived on time, well protected during the shipping. 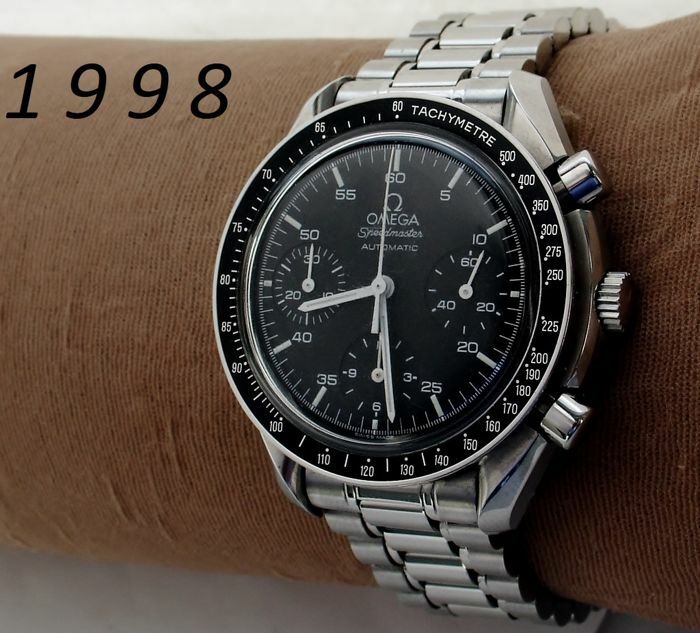 Recommend this seller. Unico piccolo inconveniente: probabilmente durante il viaggio, il vetro si è staccato dalla cassa. Ho dovuto fissarlo con un poco di colla! 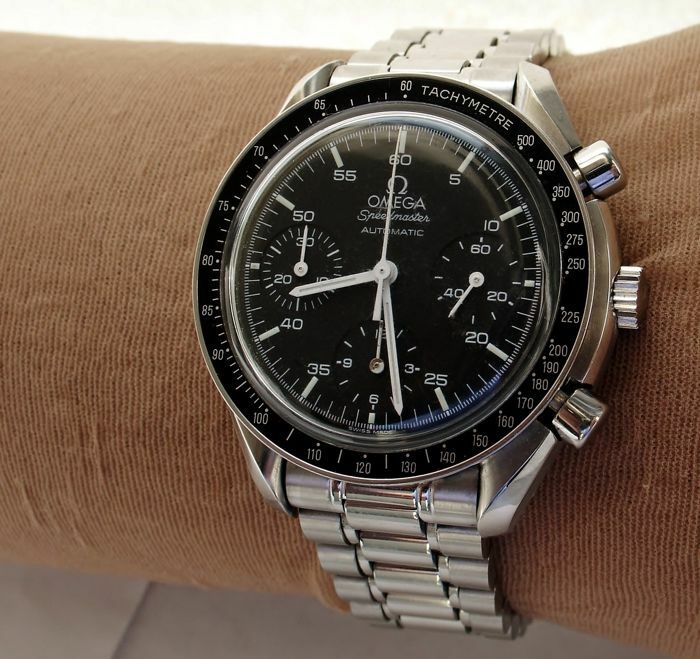 Good watch, good seller, happy with my buy ! 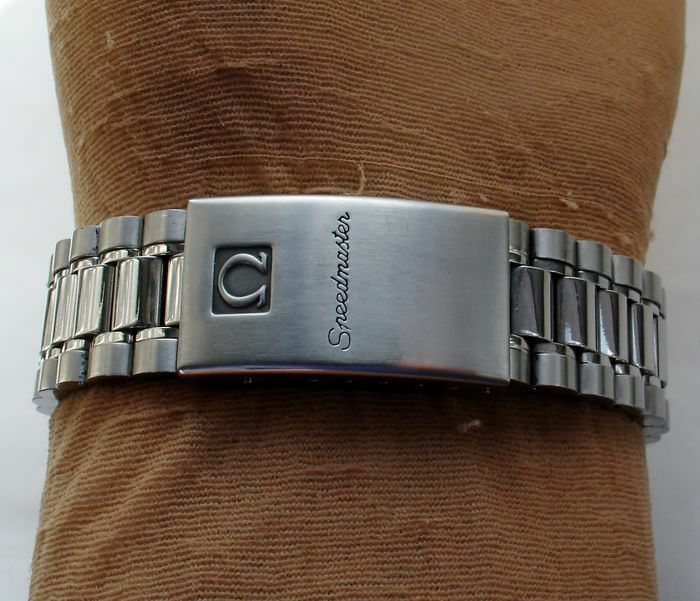 Mooi horloge, exact conform de omschrijving. Snel en goed verpakt verzonden. 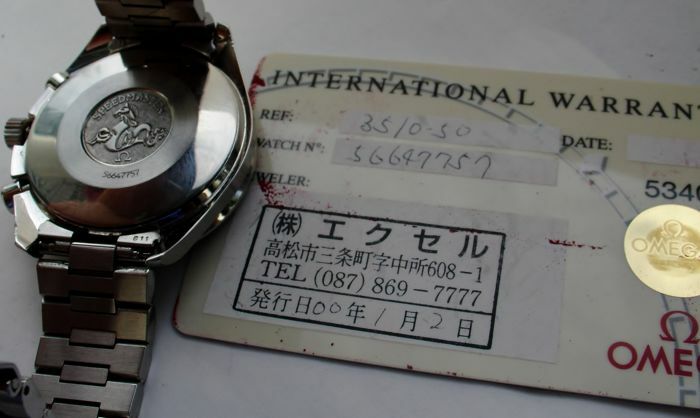 There is a mark in the middle of the dial of the watch which was hidden on the photos on purpose I believe. Otherwise hands will have been at 10:10. 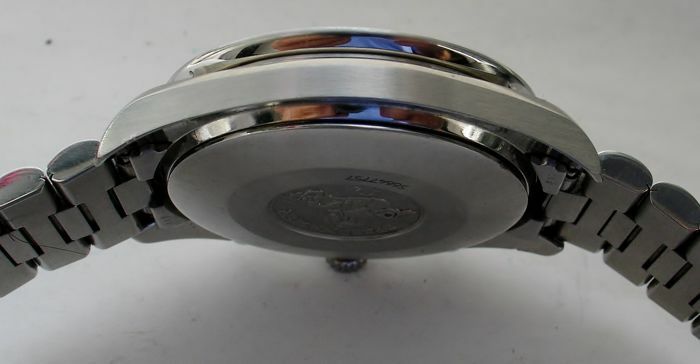 This buyer should be ashamed ...because he thinks I had hidden on purpose a mark on the dial....he thinks badly about me...without any proof.....no picture, no consultation ...which proofs he is the bad guy. An old english saying: to measure others people's corn by one's own bushel. Again...Catawiki should protect his sellers against this kind of malicious buyers....but they dont !! Vendedor muy serio y cordial. Ha sido un placer contactar con el. 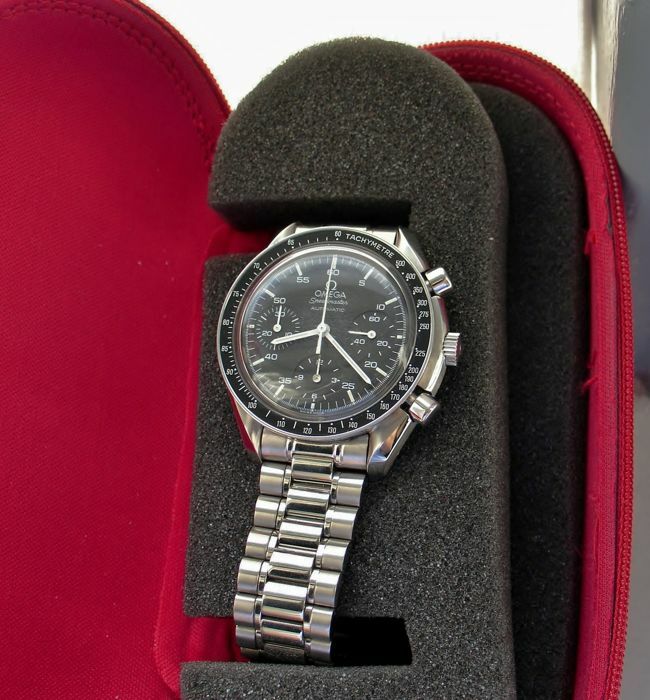 The watch arrived with timely delivery in good working conditions. 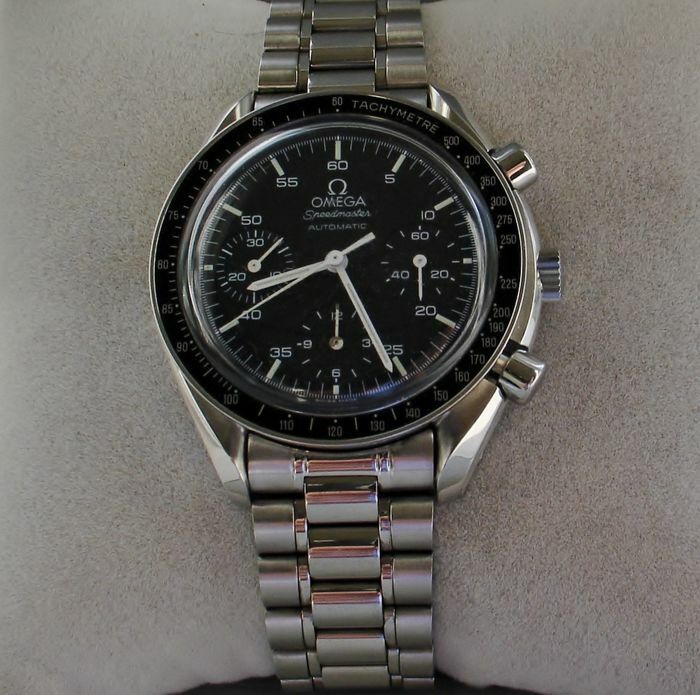 Also my local watchmaker confirmed good health of time piece. 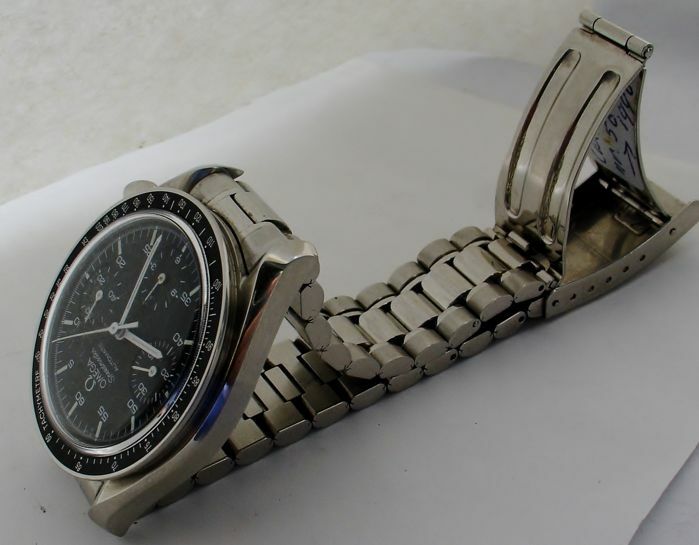 al momento non ho ancora ricevuto l' orologio. Goed Watch. 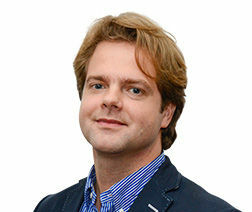 Snel gelevered. Echt correct verkoper. Sie können diesen Artikel auch beim Verkäufer abholen: Mijnsheerenland (), Niederlande.